TheBlaze reported yesterday and NewsMax today that Israel has being added to a U.S. Terror List. Any one wondering where the Heads of DHS and ICE are presently residing. Sort of like Deja Vu only substituting Israel for patriotic Americans previous placed on watch lists. Recalling a prior report on the actions of the Department of Homeland Security (DHS) and the State of Missouri: "On February 20, 2009, the State of Missouri, via its Department of Public Safety, issued what was called "MIAC Strategic Report: The Modern Militia Movement." In this report, people who supported Presidential candidates Ron Paul, Bob Barr, and Chuck Baldwin were referenced as being connected to potentially dangerous "militia members." But the inference did not stop there. People of "conservative" ideology were also identified in the State Police report as being potentially dangerous. 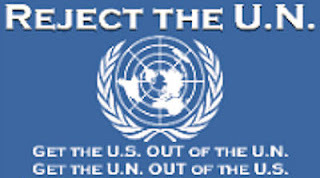 People who held political opinions opposing abortion, illegal immigration, the New World Order, the North American Union, the Income Tax, the U.N., etc., were profiled in the MIAC report.". No Islamic extremists. No environmental extremists. Only people holding "conservative" or "right-wing" philosophies were identified in the MIAC report. Now, we find another agency of DHS has identified resident from the only democratic country in the Middle East, an ally of the United States, to be on a DHS watch list while those from North Korea, who is a sworn enemy of the United States, are removed from the terrorist list. Who running this American Government DHS NutHouse? The ‘specially designated country’ list is used by Immigrations and Customs Enforcement (ICE) to screen detained foreigners with an extra step, called a “Third Agency Check.” Overall, the countries on the list are unsurprising, with two exceptions this year. Israel was not on the list in 2008, but now in 2011, it has been added. North Korea, on the other hand, was dropped from the list this year but was on it in 2008. There are only five countries on the list that do not have majority Muslim populations, and those countries have had serious internal problems with radical Muslim terrorist groups or insurgencies. Tags: Unites States, DHS, Israel, North Korea, terrorist, list To share or post to your site, click on "Post Link". Please mention / link to the ARRA News Service. Thanks! Who was the moron who thought this one p.
One would think this would be an Onion report, LOL. Too bad the situation is true.